This one is me doing a back roll - our 22yr old boat captain took it! 1. 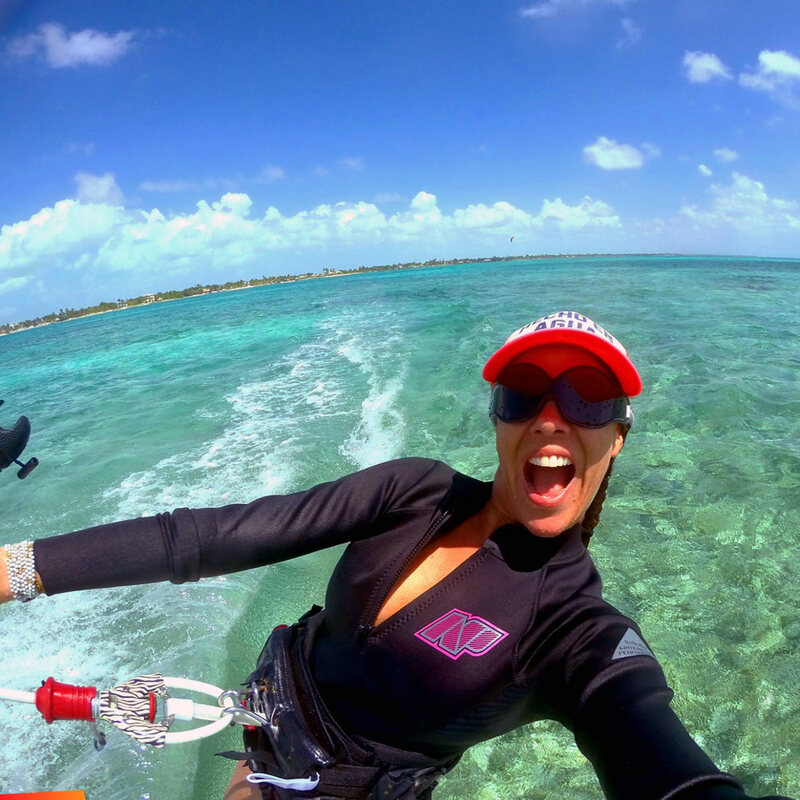 Beginners, pre-plan and book lessons with kite schools KiteExplorer or Sail Sports Belize in advance. Don’t wait until you’re there. Expect to pay up front; that is the only way you’ll be guaranteed a lesson before the walk ups. Ask specifically what their “no wind” cancellation or rescheduling policies are. Do your own research and read reviews about these schools. I cannot endorse the schools as I did not take any lessons with them personally. 2. If you are just learning, it may be a little more expensive than some beginner beach locations because boat support will likely be necessary on Ambergris Caye. 3. For advanced riders, be comfortable with self-launching and landing as there may not (were not in our case) be other riders around to assist. 4. Have an adventurous spirit and be comfortable knowing how to self-rescue and ride in deep water on the Caribbean side. 5. Take your own kite tour up and down the island. You can hire the schools to assist you on downwinders, but I prefer to be self-sufficient (and get the workout kiting upwind first)! 6. The reef is beautiful to ride but be aware that the depth varies greatly. Keep your eye out for shallow areas and know the tides! 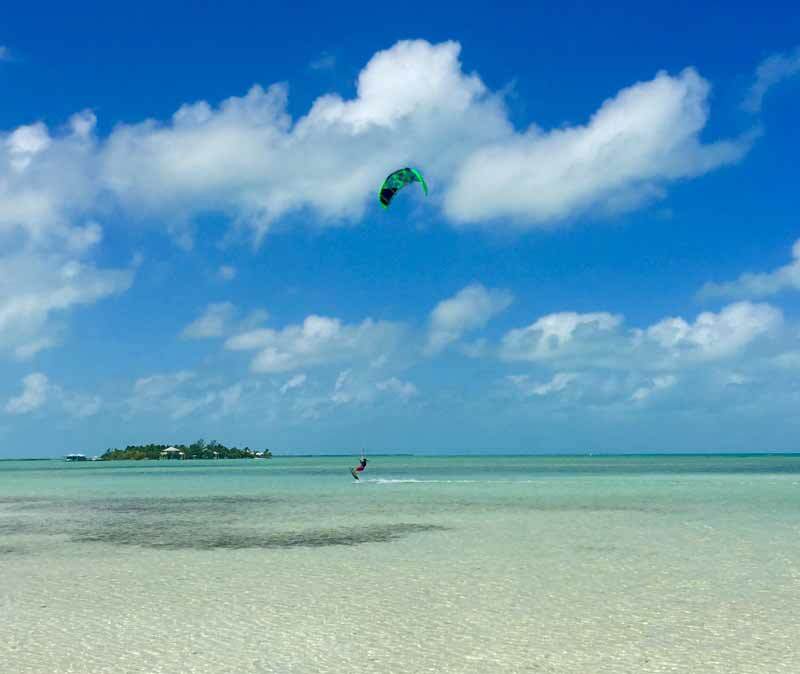 From an article "A Kite Boarding Guide to Ambergris Caye, Belize – Information, Tips and Lots of Inspiration" in the SanPedroScoop. For the rest of the article and more photos, click here.